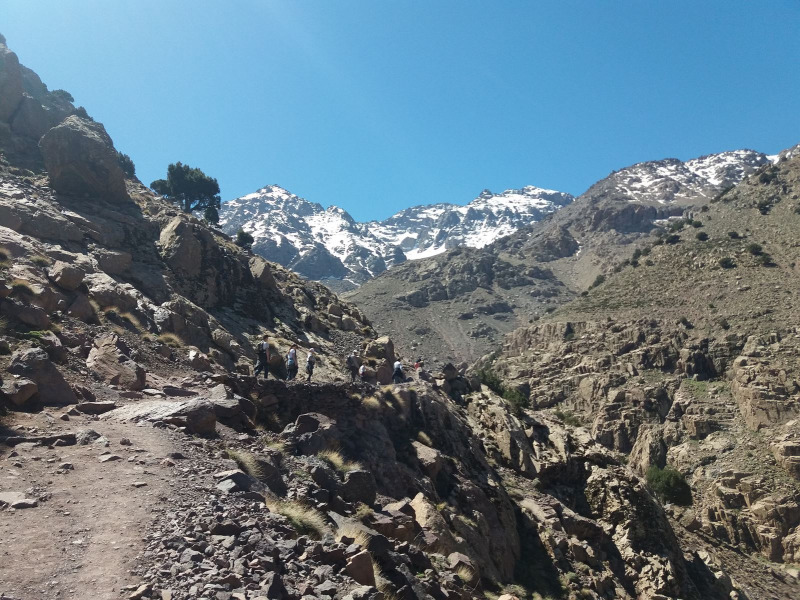 Morocco :: Marrakech-Safi :: Aroumd :: Excursion and trek to Imlil valley 1 day from Marrakech. 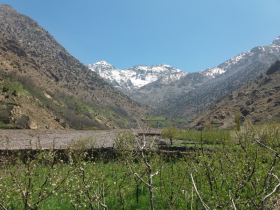 Excursion and trek to Imlil valley 1 day from Marrakech. 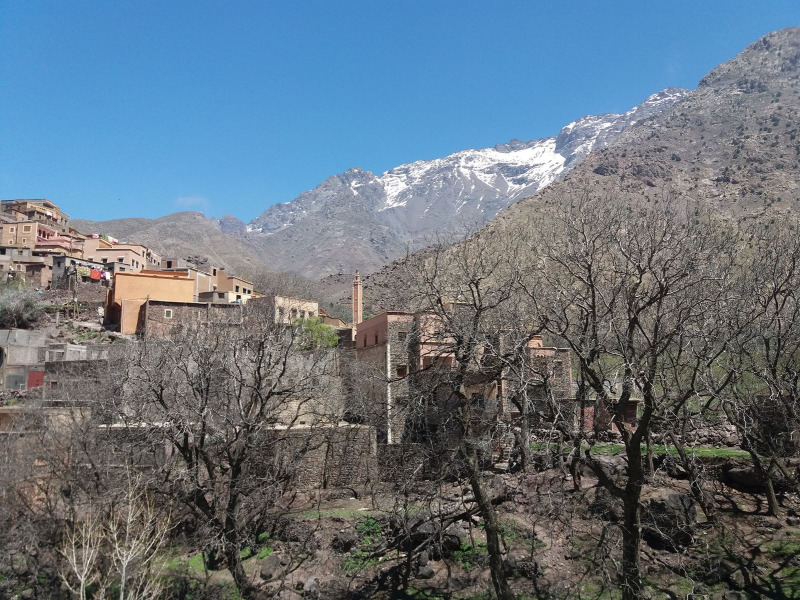 In less than 2 hours drive from Marrakech, we arrive to imlil village, one of the beautiful valleys of the high Atlas Mountains. 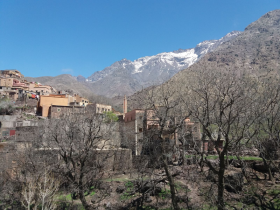 Along the drive, we enjoy spectacular sceneries of everchanging landscape with lots of Berber villages and traditional houses clinging to the side of the hill. From Imlil village our trek start to Sidi Chamharouch Marabout, lunch at de evening come back to Armed village, Imlil and deaprt to Marrakech by Taxi or minvans. 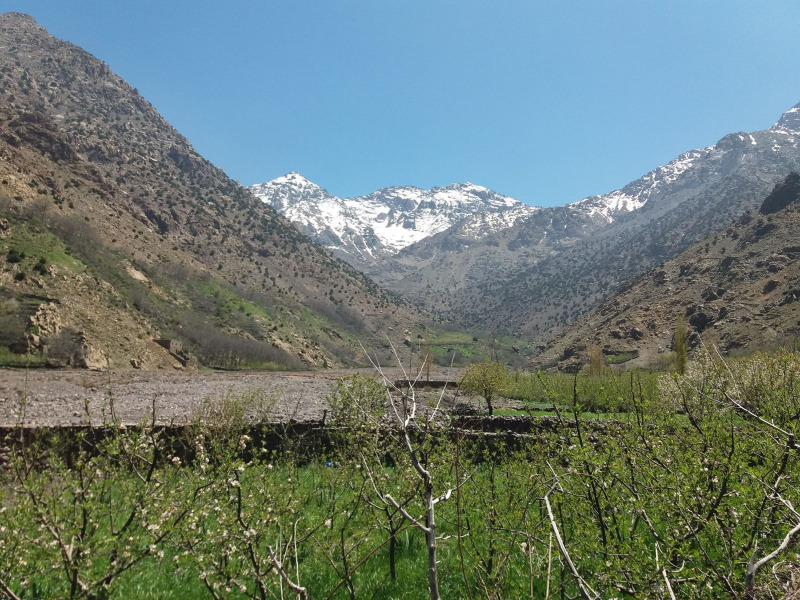 3h30 mn walking.